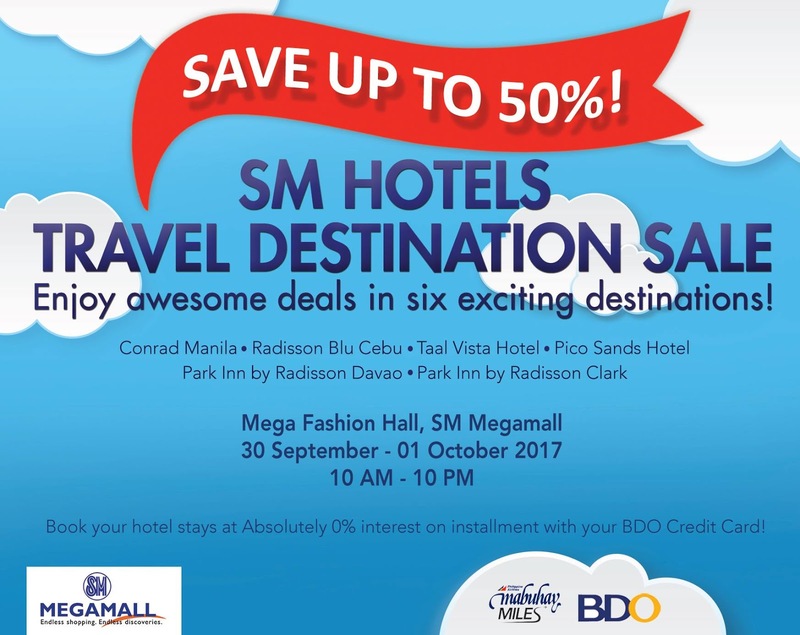 The SM Hotels Travel Destination SALE is back! Check it out until October 1, 2017 at Mega Fashion Hall, SM Megamall from 10am to 10pm. 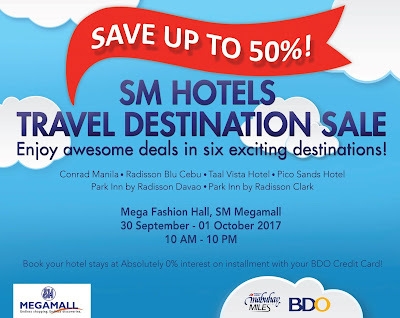 Enjoy awesome deals of up to 50% off on 6 exciting destinations - Conrad Manila, Radisson Blu Cebu, Taal Vista Hotel, Pico Sands Hotel, Park Inn by Radisson Davao & Clark! Use your BDO Credit Cards to avail of absolutely 0% interest on installment!